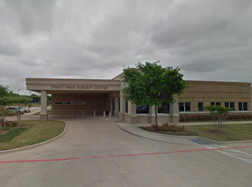 At Trinity Park Surgery Center, we offer unremarkable convenience by allowing our patients to easily provide their online clinical history by visiting our website: www.TrinityParkSurgeryCenter.com. Click here to complete your medical history online. Once you do, you will be able to enter your clinical history into an online form. By providing this information online, the amount of paperwork needed the day of your admission is greatly reduced and you are assured of the accurate documentation of your clinical history. It's remarkably convenient! It will take approximately 10-30 minutes to complete the online clinical history form, depending on your medical history. Before you begin, take a moment to be sure you have the following information on hand.